Beautiful property just West of Hutchinson. 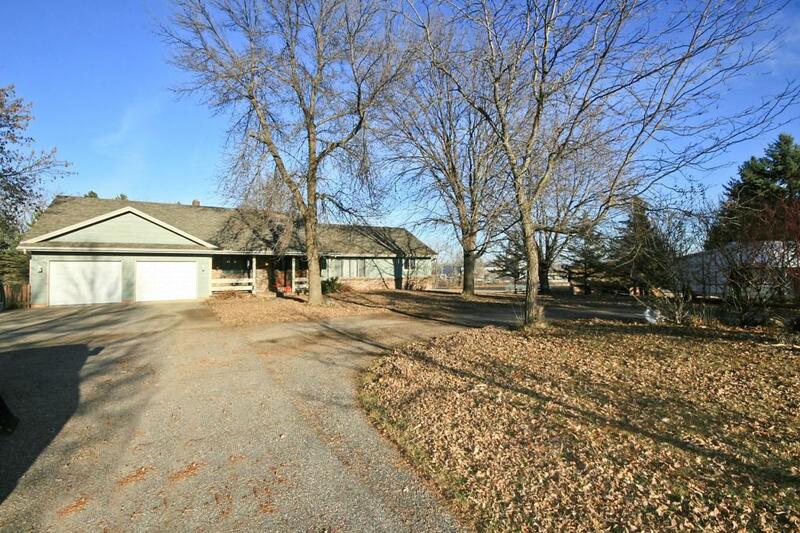 This 4 bedroom, walk-out home is nestled on 5 Acres with more land available! Home features a entertaining floor plan, main level double sided fireplace and lower level fireplace. There are 3 baths. The lower level also has large storage closets and 24x38 work shop/garage. The outbuilding has horse stalls/storage and pasture area. Paved roads lead you to your country home! Home Warranty included.